The women's Roxy Ann 15 sleeping bag is a lightweight companion for adventurous women who camp, backpack, and venture everywhere in between. Women’s Classic bags are designed to feel more like the comforter on your own bed. They provide an overall more comfortable and cozier sleeping experience than ever before with a semi-rectangle shape and Insotect Flow™ construction that keeps the insulation next to your body for more efficient heat distribution. The new polyester mini rip-stop microfiber shell fabric is softer than ever with a water-repellent finish. These bags are taller across the top, so you can roll over more freely, while the Free Range hood allows you to move unrestricted while staying hooded. They’re so comfortable, you won’t want to go home. 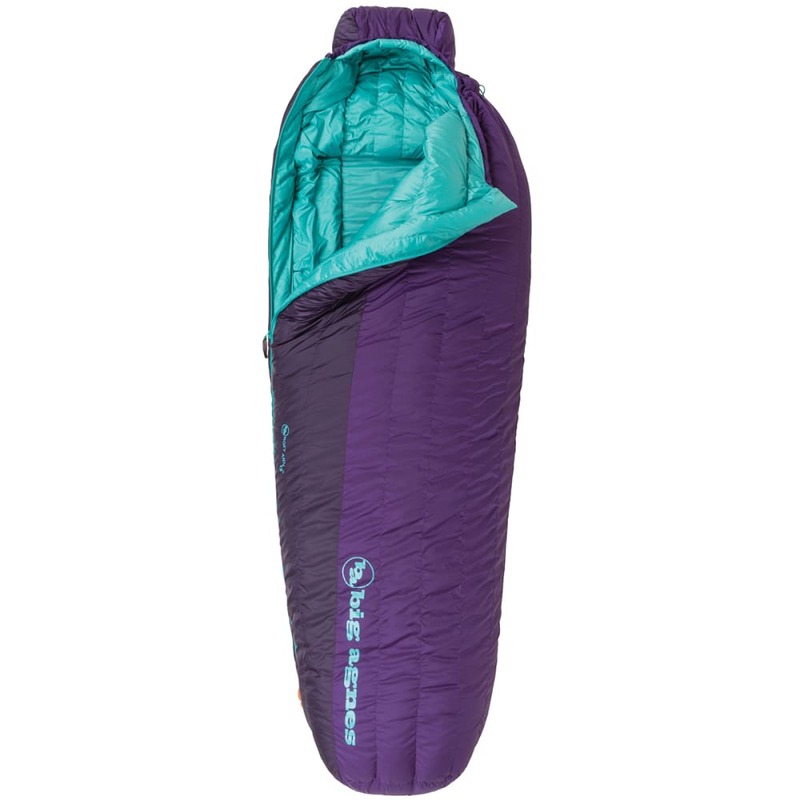 650 fill DownTek™ water repellent down: Down sleeping bag insulation has long been the favorite of backpackers, thru-hikers, and mountaineers due to its relative light weight and ability to pack down small. While down bags generally cost more and require more care to keep dry in humid conditions, the soft feel of down is unsurpassed and extremely popular. 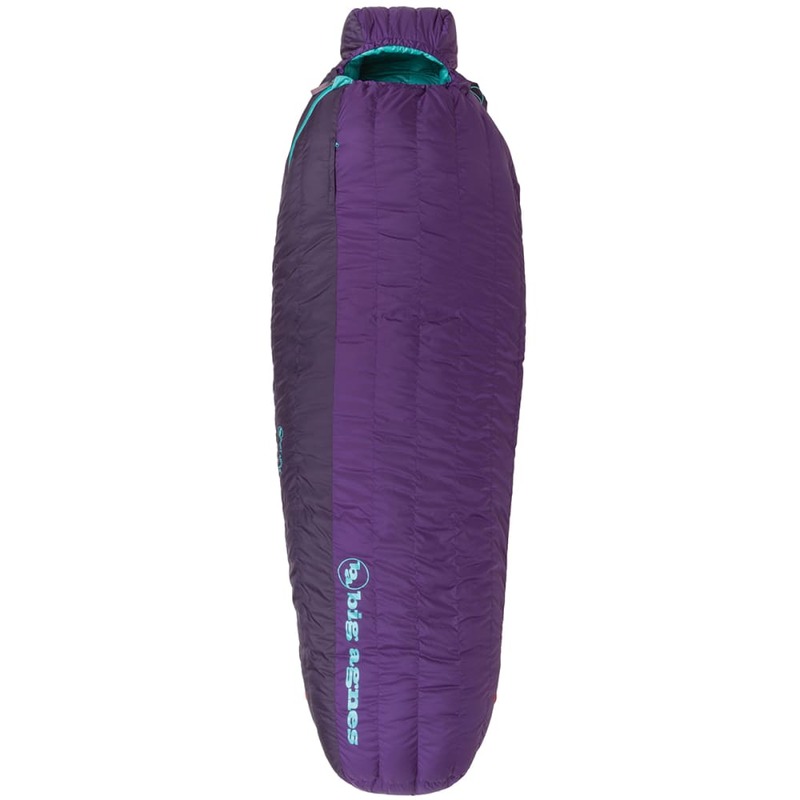 The Big Agnes System: When insulation material is compressed under your body, it loses most of its ability to insulate. 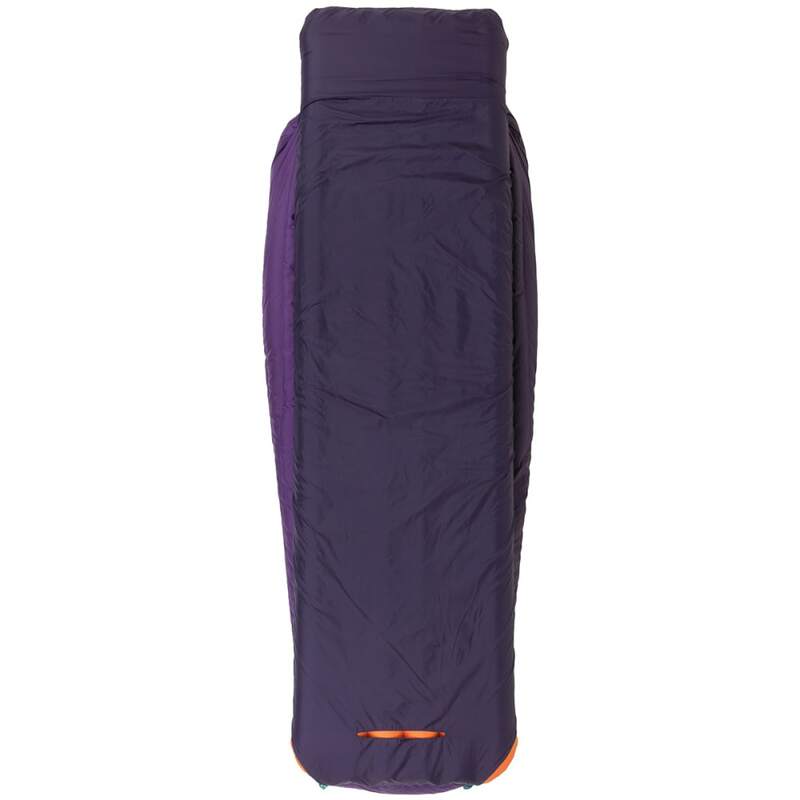 Big Agnes eliminates the unnecessary bottom insulation and replaces it with one of two pad sleeve designs to accommodate the pad, which provides the insulation. This design provides a secure foundation and keeps you on the pad all night. Stuff Sack Size: M 8in x 17.5in. Petite size fits up to 5 ft., 6 in. Max. User Height: 5 ft., 6 in. Stuff Sack Size: 6in x 8in.